NeuherbsGreen Coffee beans powder are raw, natural, untreated coffee grains that are GMP & ISO Certified and are without added Chemicals. Neuherbs Experts provide free counseling to make you Fit as a fiddle by guiding you not only with the product but also by providing you guidance over daily diet plans by analyzing your body s current statistics and needs. 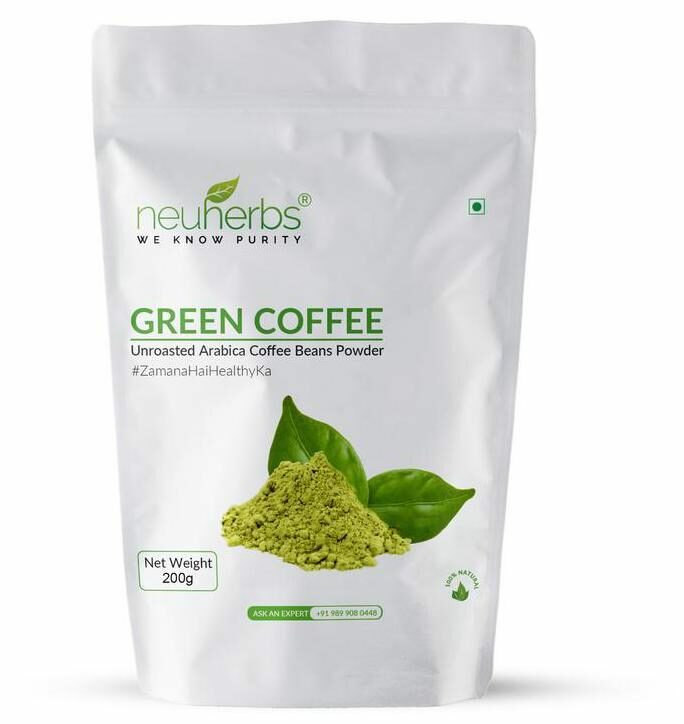 Neuherbs Green Coffee Beans Powder, when taken with proper diet and exercise regime, helps you in making hale and hearty and full of beans. HOW TO MAKE YOUR PERFECT CUP OF COFFEE ? 1. Take 10 g (1 scoop) of coffee beans powder in a dry pan. 2. Pour 150 200 ml of water over it and let it brew for 5-10 mins. Then filter the brew through a fine sieve. 3. The healthy green coffee beverage is ready to drink. You can drink green coffee beverage pre/post meal. 4. You can add Honey or Cardamom for a better taste.